Take a break from the city and head to Manly Beach and The Opera House to the Botanic Gardens Walk. 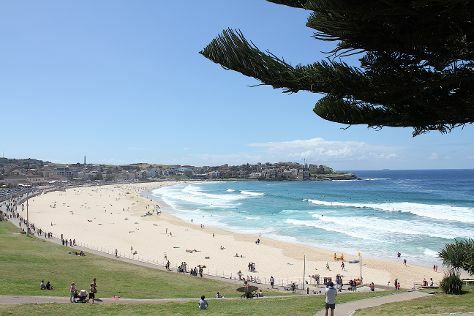 We've included these beaches for you: Bondi Beach and Clovelly Beach. Explore the numerous day-trip ideas around Sydney: The National Pass (in Blue Mountains National Park), Leura Mall (in Leura) and Shelly Beach (in Manly). Spend the 17th (Wed) exploring nature at Sydney Harbour National Park. On the 21st (Sun), dedicate a day to the elevated beauty of Perry's Lookdown. There's still lots to do: stop by Sydney Fish Market, see a show at Sydney Opera House, get some fabulous bargains at Birkenhead Point Brand Outlet, and admire nature's wide array of creatures at Sea Life Sydney Aquarium. To see traveler tips, more things to do, reviews, and other tourist information, refer to the Sydney day trip planning site . If you are flying in from Thailand, the closest major airport is Sydney Kingsford Smith International Airport. In April in Sydney, expect temperatures between 26°C during the day and 17°C at night. Finish up your sightseeing early on the 21st (Sun) so you can travel back home.